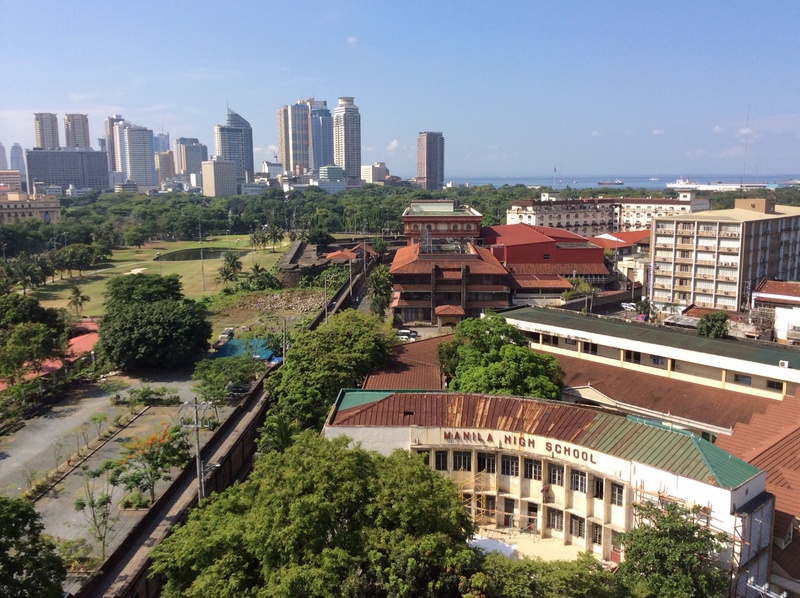 Manila’s skyline from a hotel rooftop in Intramuros. The channel you see running from the lower left at a diagonal toward upper right is the wall. You can walk on portions of it. 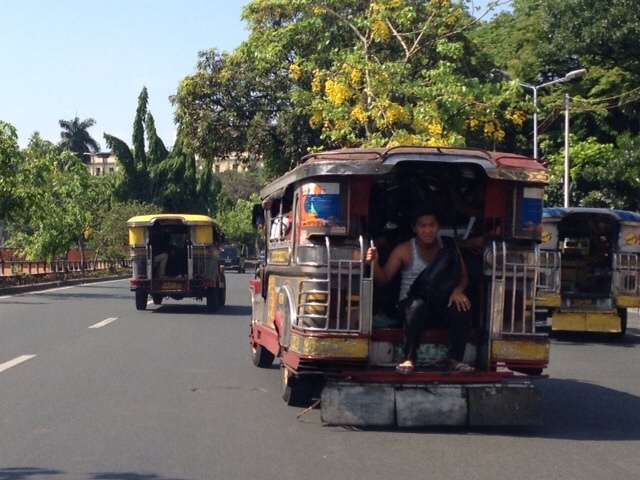 Manila is packed with Jeepneys! They are open air buses that are inexpensive to ride. 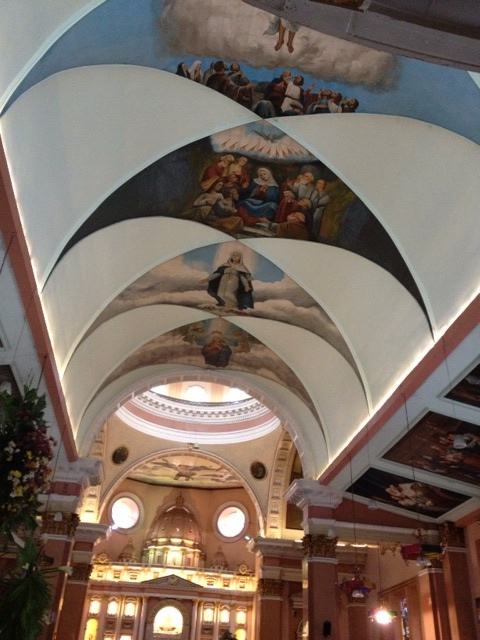 They are also the most colorful, expressive things I saw in Manila. 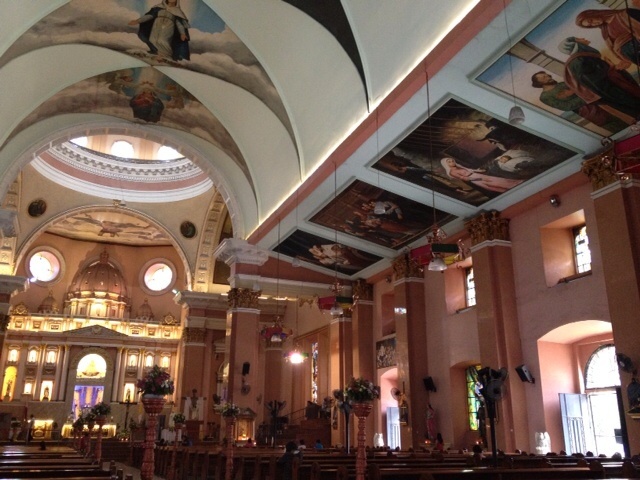 Here’s a colorful one, Jesus on the side. 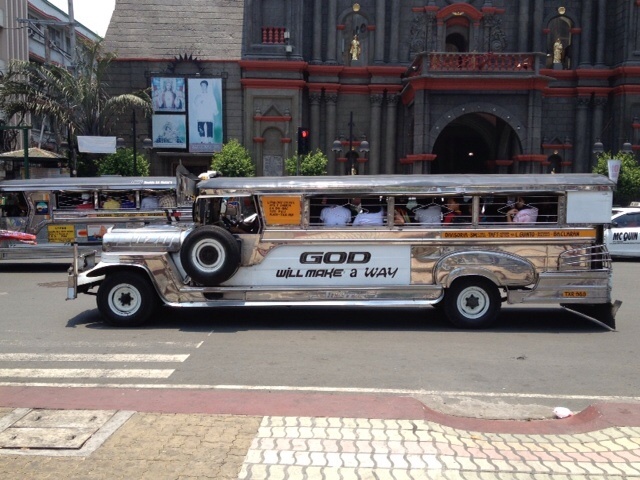 Another jeepney passing in front of a church. 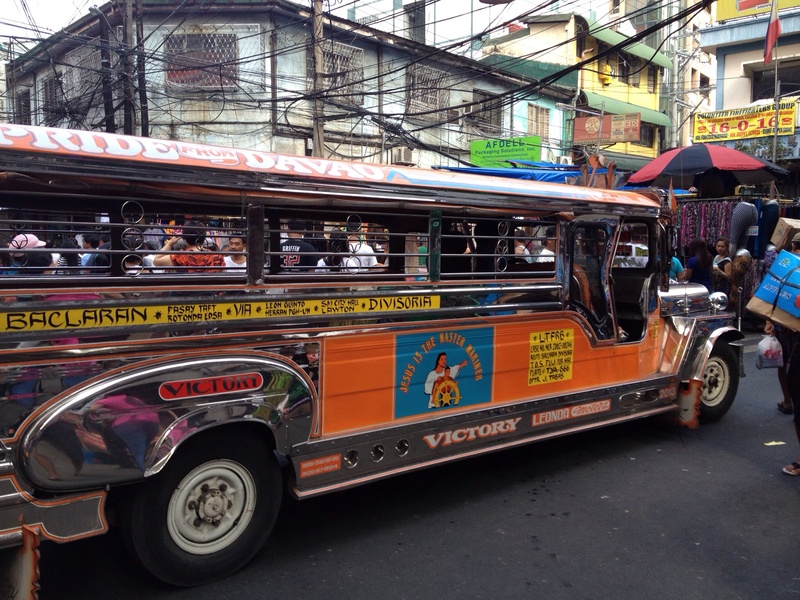 You’ll note religious sayings on all the jeepneys. This one isn’t as colorful as some but these shiny silver ones were common too. Chinatown is an experience all it’s own. 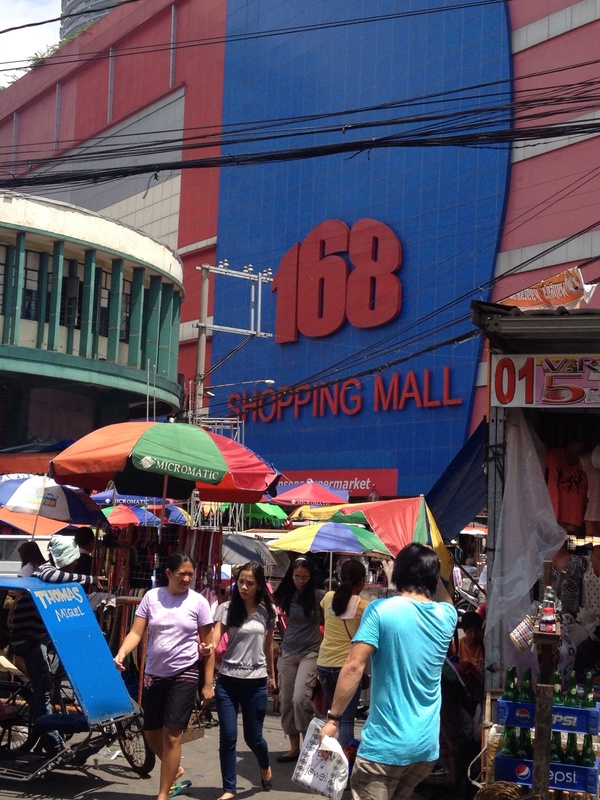 There are inside markets, outdoor markets and they all merge together. Unfortunately, this type of scene was not the only one I saw. 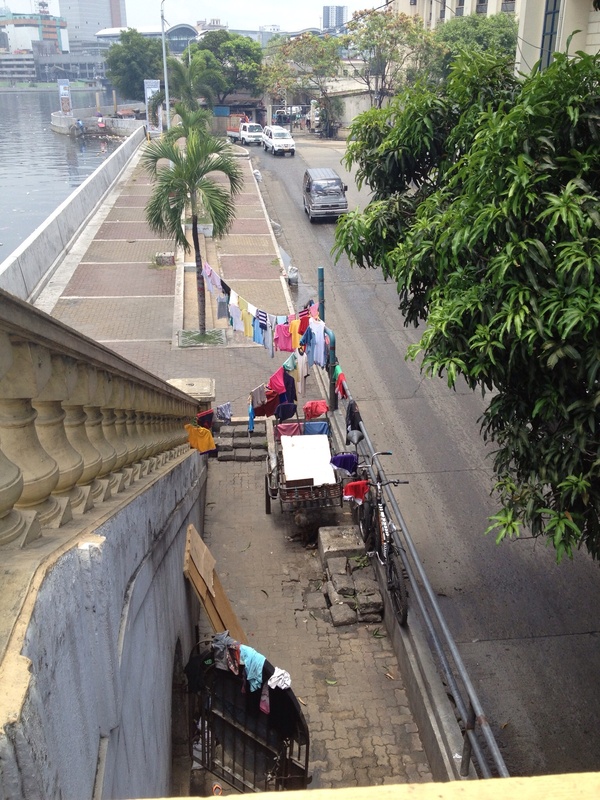 It was quite clear how many were homeless as I saw clothes hung to dry in public, most frequently on park fences. 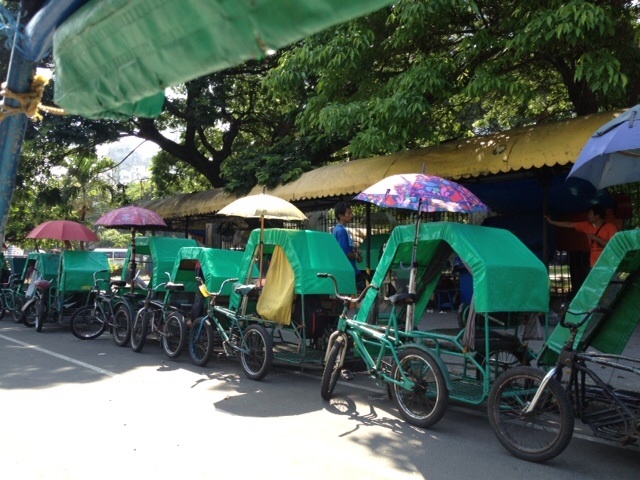 “Tri-bikes” were everywhere like the jeepneys. The arrangement of the bike on the side of the cart made it convenient for a tour guide to speak with tourists without having to turn around 180 degrees. These navigated all roads, right alongside traffic. I took a ride in one my first day. The majority of these are extremely run down but I have to give the operators credit. My guide went out of his way to give me an informative tour, warned me ahead of every potential place to trip, and had brought along an umbrellas shield me from the sun. I saw these employed many ways other than for tourism. They seemed to do quite well transporting small bulk loads of all kinds of items and some operators were lucky enough to have a motorized bike. 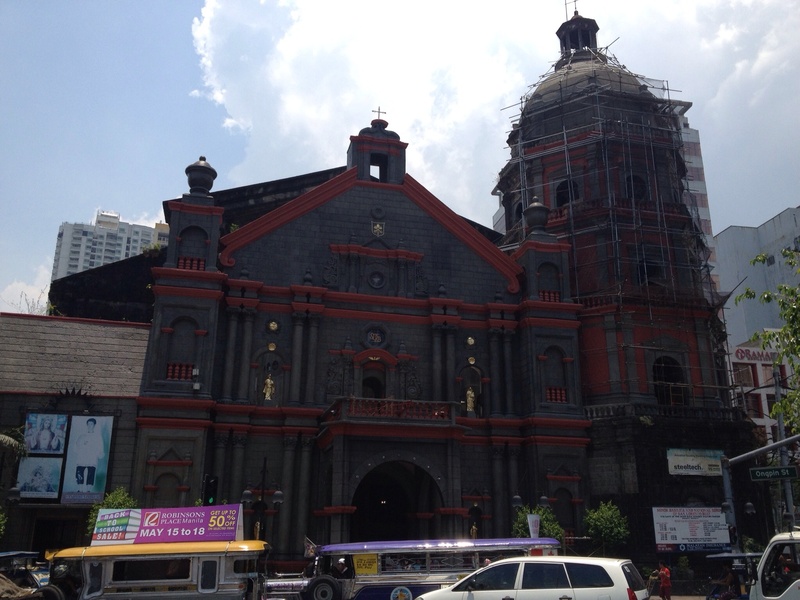 I was trying to insert a final photo to represent my overall impression of Manila but the internet is being troublesome. I’m going to launch this just to get something up there! Thanks for checking it out Lottie. I’m hoping to put up a ridiculous story about how hard it was to make a phone call there! Hey Kim! Thanks for the support! Hope it’s warming up for you in Wis?